Shady's Closet tee. 2020AVE jeans. 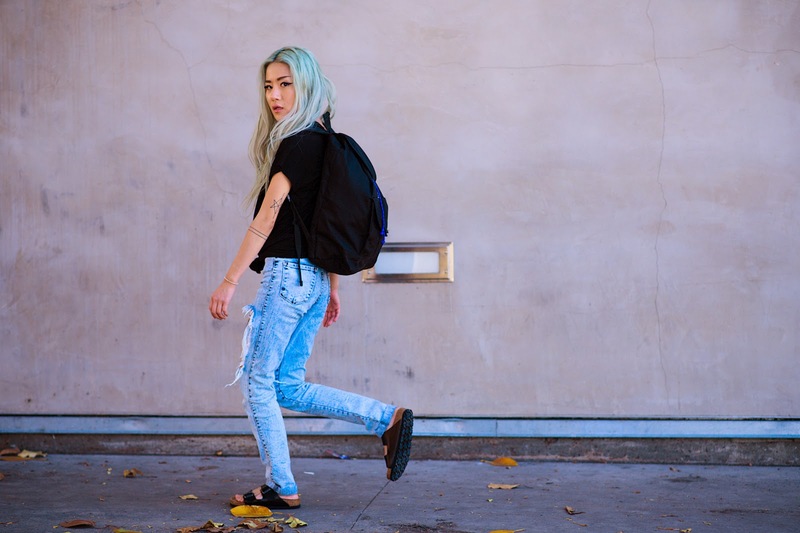 Birkenstock shoes via Tilted Sole. 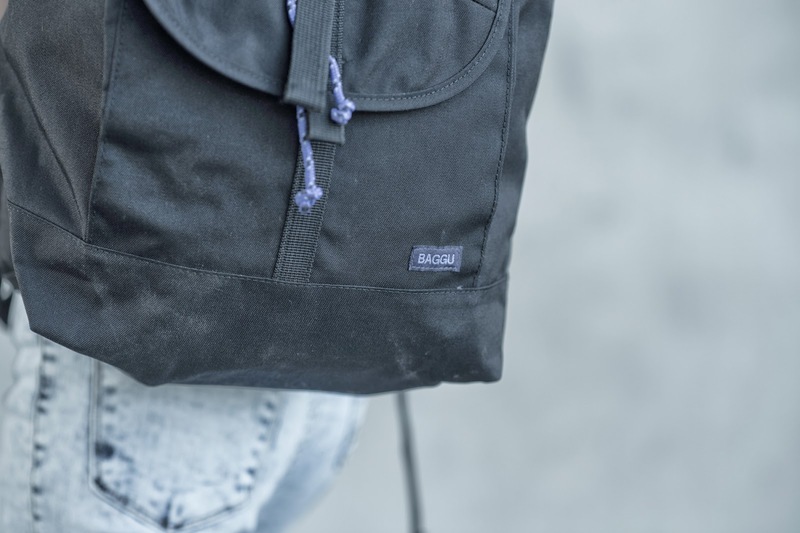 Baggu backpack via Sway Chic. My quintessential jeans-and-a-tee pieces have been on heavy rotation. 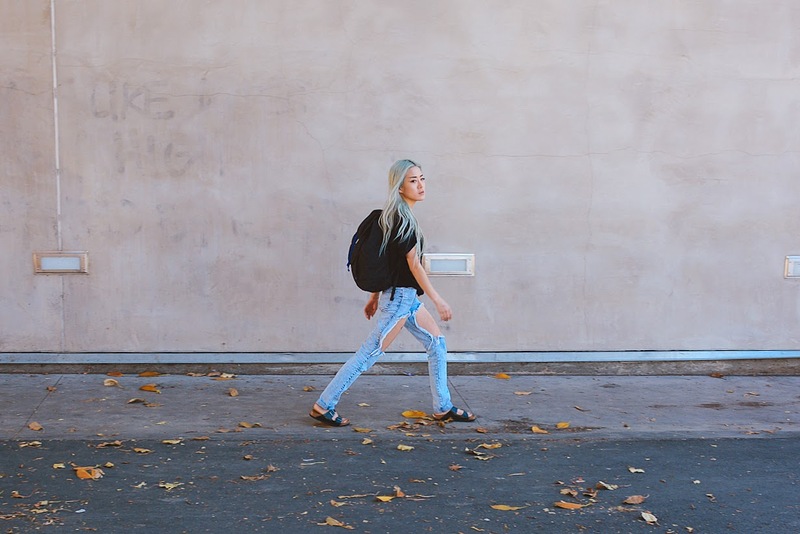 I'm a girl who has too much to do and too little time to do it, so nowadays I have been throwing on the comfiest of outfits + my Birkenstocks, tossing all my necessities in my Baggu backpack, and jetting out the door. I have even worn similar getups to night events and have managed to look coolly casual, like I meant to be perfectly underdressed. The key to simple yet stylish pieces is in their details: My baggy boyfriend shirt can be worn loose or knotted at the front/side, and my jeans have my absolute favorite distressing. I wore my other pair into the ground so these were a godsend. I know I'm known for my crazier getups, but sometimes minimal is good--necessary, even. Those jeans are so sick. You look amazing. I love how simple this look is, but still very cool! Can't live without my backpack, so convenient! WOW! Those jeans r amazing! what a rawk outfit! Your jeans are too fab! I'm loving oversized back packs at the moment!